TOKYO, January 6. /TASS/. The signing of a peace treaty between Japan and Russia will have a positive impact on the security of the Asia-Pacific region and will also be beneficial for Washington, which signed a security treaty with Tokyo, Japanese Prime Minister Shinzo Abe told the NHK TV Channel on Sunday. "The Japan-US Security Treaty is the basis of international security guarantees for Japan. The conclusion of a peace treaty between Japan and Russia will have a positive impact on regional stability. I think this will be an advantage for the United States." "That is a reality now that Russians live on the four islands (Southern Kuril Islands - TASS). The territorial problem cannot be solved until the Russians residing on the four islands agree with the transfer of ownership (of this or that part of the Kuril Islands to Japan - TASS). 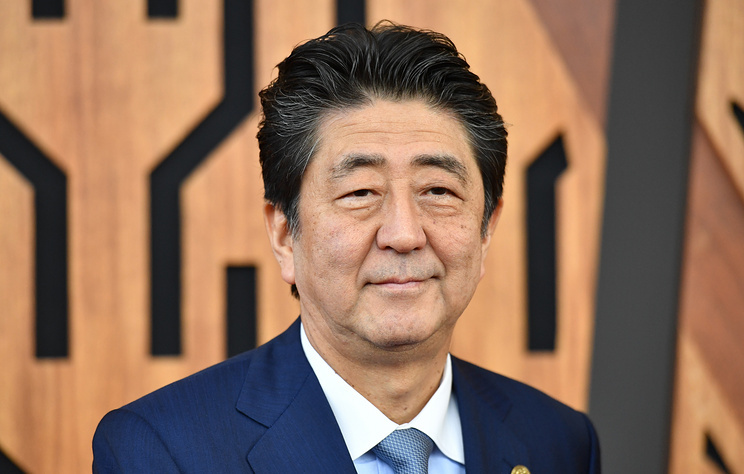 Therefore, our approach implies reaching an understanding on this issue by the people of the two countries," Abe stressed. The Japanese Prime Minister also noted that Foreign Ministers of Japan and Russia Taro Kono and Sergey Lavrov will hold talks in Moscow on January 14. He added that after these talks he will go to Russia to meet with President Vladimir Putin. At the meeting in Singapore on November 14, 2018, Putin and Abe agreed to intensify Russian-Japanese talks on concluding a peace treaty based on the Joint Declaration signed on October 19, 1956 on ceasing the state of war. The two countries resumed diplomatic and other relations, but no peace treaty has been signed so far. Under Article 9 of the declaration, the Soviet Union agreed to hand over Shikotan and Habomai as a gesture of good will after the peace treaty is ultimately signed. The declaration was ratified by the two countries’ parliaments on December 8, 1956. However in response to Japan’s signing a security treaty with the United States in 1960, the Soviet Union revoked its liabilities concerning the transfer of the islands. The Soviet government said back then that the islands would be handed over to Japan only when all foreign forces were withdrawn from its territory.